Baptism marks entry into the mystery of faith and participation in Christian community. It may be received at any time of life, but is given validly only once. Baptism of infants up to 7 years, children 8-17 years, and adults 18 and older each require separate periods of preparation. Adults and older children are usually baptized once a year during the Easter vigil through the Rite of Christian Initiation of Adults (RCIA) or children’s RCIA. Infants may be baptized throughout the year. 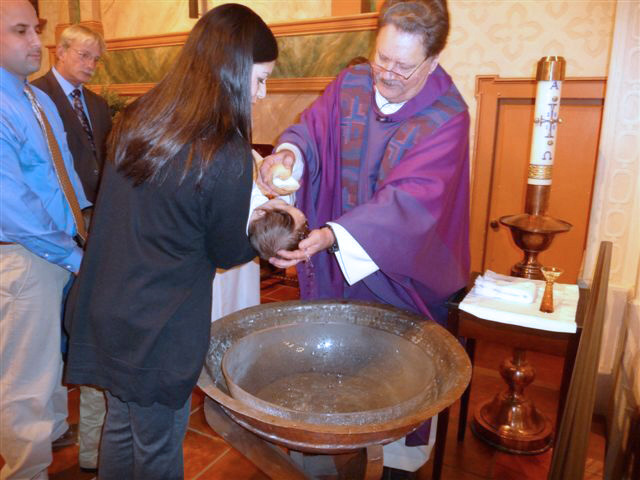 For infant baptism, call Terry Burrows at (805) 781-8220 x 15 or email tburrows@oldmissionslo.org. For baptism of older children and adults, call (805) 781-8220 ext. 15 or email Terry Burrows at tburrows@oldmissionslo.org. The Sacrament of Reconciliation is important to our spiritual health. Rightly given, it is a cleansing of the soul and a healing of one’s spirit. Old Mission provides a regular time to offer confession and receive absolution, every Saturday at 4:00 pm near the back of the annex wing of the Church. To help accommodate everyone prior to the 5:30 pm mass we ask that you arrive on time. Saturday confessions end when the last person waiting near the confessional has been heard. If it has been some years since your last confession, or you wish a longer time for discussion and advice, you are free to make an appointment with one of the Mission priests at a mutually convenient time. Call the parish office at 805-781-8220 for assistance. 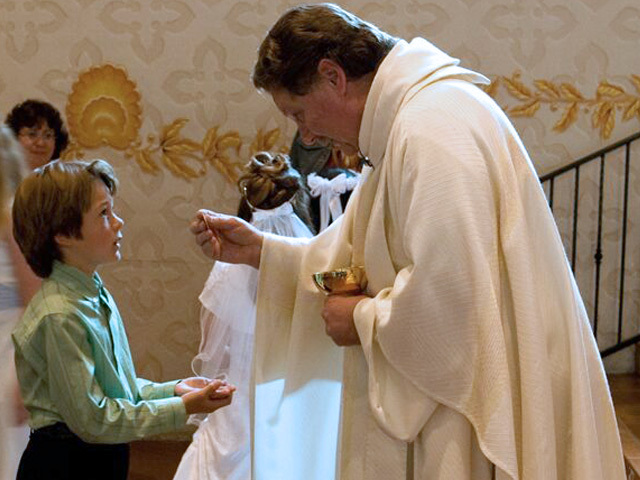 Most children prepare to receive their First Eucharist around 2nd grade. Every year, we prepare dozens of children from both public and Catholic schools for this important event in their faith lives. Parental involvement is both encouraged and expected, as parents are the primary teachers and models of Christian faith for their children. We have Sunday morning gatherings for family formation and take-home materials to provide you with personal resources. Contact the office of Family Faith Formation at (805) 781-8220 ext. 15 or contact Terry Burrows at tburrows@oldmissionslo.org. 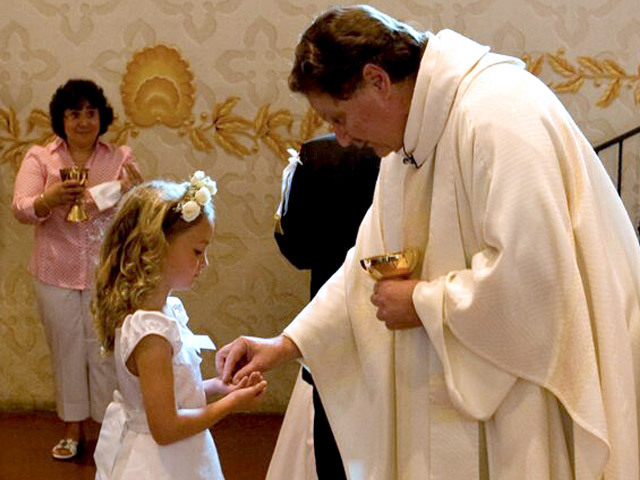 The Rite of Confirmation completes the Sacraments of Initiation and brings members into fuller communion with the faith through formal assent given as adults. 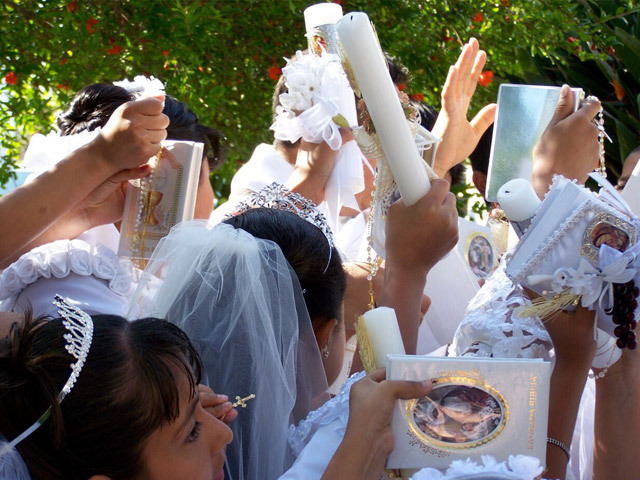 For baptized Catholics, confirmation is most commonly received during high school. A program of later adult confirmation is also available to those who have yet to receive the sacrament. Adult confirmation is also for those baptized into different Christian traditions who wish to begin practicing the Catholic faith. Contact the office of Family Faith Formation at (805) 781-8220 ext. 15 or contact Terry Burrows at tburrows@oldmissionslo.org. For information about our Youth Confirmation program, please contact the parish office at office@oldmissionslo.org. The Sacrament of Marriage involves a lifetime commitment. It is both joyful and profound. Preparation for Catholic marriage requires six months advance notice in the Diocese of Monterey, including a time of preparation and counseling and a weekend Engaged Encounter Retreat. The Mission hosts dozens of weddings each year, but our facilities and parking are limited. We cannot accept “destination” weddings. You must be a current or recent parish member or immediate family to a registered parish member. For more information contact Corina Onato at conato@oldmissionslo.org. The Anointing of the Sick is offered to those who are suffering from any serious medical condition. Sometimes called by the former term, Last Rites or Extreme Unction, anointing brings grace to those challenged by disease, injury and age. We urge all who are considering Anointing of the Sick not to wait until the last hours of life to call for a priest. Anyone whose health is seriously compromised may receive the anointing. Family and friends are encouraged to be present. Call the main parish office for assistance at (805) 781-8220. Our vocation is our life’s calling in light of God’s grace. It may consist of many worthy things. If you feel you are called to ordination as a Catholic priest or deacon, or to vowed religious life as a woman or man, contact your local pastor, priest, deacon or spiritual director to explore this calling further. You are free to contact Mission clergy, but vocation discernment is often a lengthy and continuing process and is best pursued where you live and worship.